 If you want to use a lightweight Linux system on your old computer, you have to use a lightweight window manager. IceWM is one of my favourite lightweight window managers. It does not reserve a lot of system resources and it can be used even with very old computers. It depends only on the X window system and libXpm. It should run even on an 386 or any other imaginable box that can run X. It is included in the repositories of every major distribution, so you should encounter no problems in installing it through the default package manager, either apt-get, yum, zypper or any other imaginable tool. In addition to Linux, it can be used on several other flavours of Unix including commercial systems like Tru64 and AIX and open source operating systems like FreeBSD and NetBSD. It has even been reported to compile and run under Windows! Your IceWM probably came with some themes. Usually even more of themes can be installed through the package management as a separate package. It can even be configured to look like Windows XP if you try to build a desktop for those who are afraid of Linux. The themes are compressed packages and they must be uncompressed before use. This unzips the package in a directory called win31. I don't like the default menu offered by the distribution I use. Probably you won't be perfectly happy with your menu either. This is where the going gets tough, as we will actually edit a text file to configure IceWM's menu. Fortunately, it uses syntax that is simple to understand. First copy the default menu from /etc/icewm/menu to ~/.icewm/menu. If you absolutely do not want to configure any text files, you can try the programs IceMC or MenuMaker to edit the menu. I find it easier to configure the menu with Emacs (or some other editor). The first Firefox is the entry added to the menu, the second firefox is the name of the icon and the third firefox is the name of the binary. It is a good idea to think twice about programs one adds to the start menu and toolbar as the choice of lightweight software is as important for the user experience as the chosen window manager. I usually try to use lightweight alternatives to better known applications, for example, Abiword instead of OpenOffice.Org and PCManFM instead of Nautlilus, Konqueror or Dolphin. But you are of course free to do whatever you want! You can add start buttons to toolbar using the same syntax as for adding applications to start menu. Use ~/.icewm/toolbar for your personal toolbar. The preferences are read from file preferences. Copy the default preferences from /etc/icewm/preferences to ~/.icewem/preferences. Use this copy of preferences file for storing your personal preferences. The preference file is well documented. Just browse through the options presented in the file. I am not sure whether having icons on the desktop is a good habit or if they just make the desktop more cumbersome to use. 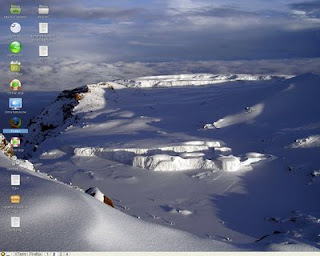 Most people, however, seem to want icons on their desktop where they are hidden behind windows and difficult to find. IceWM does not support icons out of the box but there are several applications that can provide the desired result. One of them is idesk. I decided to use PCManFM for icons and wallpaper (Edit, Preferences, Manage the desktop and show file icons). As the result of these steps, you have a simple and strong lightweight desktop that is tailored to your needs. Later you can add even more lightweight functionality to your customised desktop and make it truly unique. If you already now have some ideas just drop a line in the comment box! I love IceWM. It's what I use on most of my Linux computers by default. But there was one annoying detail which took me a while to solve. Many software packages run 'update-menus' or similar when installed to include themselves into my desktop menu. This would wipe out my edits. To solve this, I wrote a script which I put in $HOME/bin/fixicemenu (not shown here--write your own). # This calls the user's "fixicemenu" to fix the menu under icewm. I am new to icewm. I want to have more than 4 workspaces in my toolbar. Is there someway I can do that in icewm? I realize Bhaskar's post is over three years old, but here goes. Yes, you can change the number of workspaces. WorkspaceNames=" 1 ", " 2 ", " 3 ", " 4 ", " 5 "
Add or remove entries as needed/desired.